This year Jim Robson won it, crossing the line about 20 s after midday. 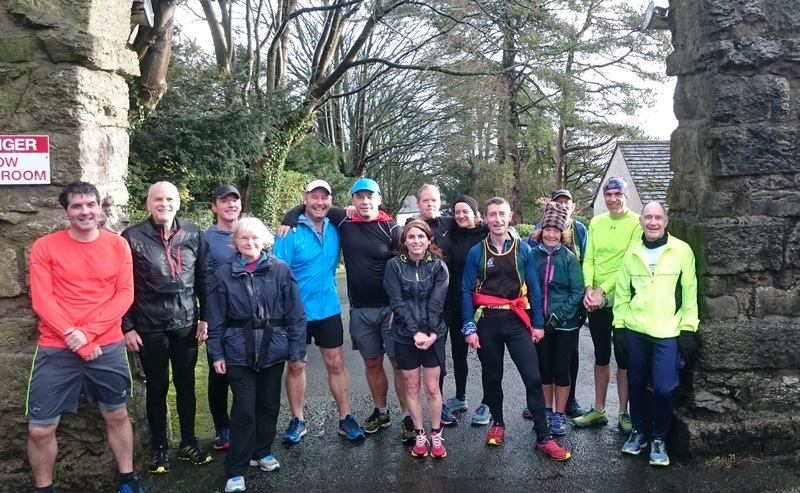 Thank you to all those club members, friends and visitors who turned out to run it. Cartmel primary school are holding a santa dash on the 2nd of December, from Cartmel Park. 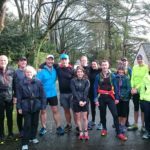 A massive thank you to all the people who came to run in this year’s Allithwaite-8. To all the 102 starters and 103 ‘finishers’ … well done!!! We expect you’re wondering, “What on earth is …?” Well, there was a chap who’d arrived late and joined the tail of the race some minutes after the start :-). The results for the 102 are now available by clicking here. Anyway, it has been really nice to read the comments which have been added to the club’s facebook site. If you’d like to suggest something for the race in 2019, please let us know (we’re aware that people would appreciate a few arrows on the last hill down to the post office and the finish). We hope you can find yourself in the photos on the facebook site too. Sorry we couldn’t book last year’s sunshine, but hey … it wasn’t as bad as for ‘A day in a lake’ 3 weeks ago! The weekend of the 13th – 14th October has got some big races to be run. 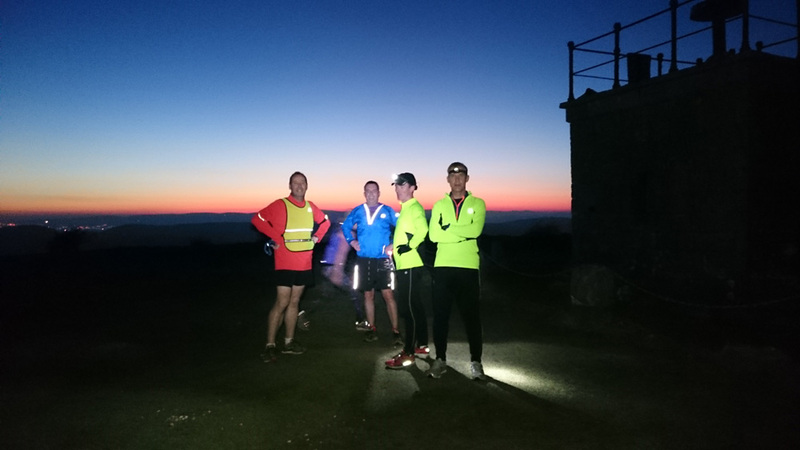 On the 13th John Douglas, Paul Hughes, Julia Sayburn & Alistair Arnott will be running / yomping along the 50 miles of the Lakes-in-a-day ultra-marathon. On the 14th Steve Wilson & Sally Mapstone will be doing the York marathon. In addition, Gill Cook will be in York too, doing the 10-mile race. Good luck to all! 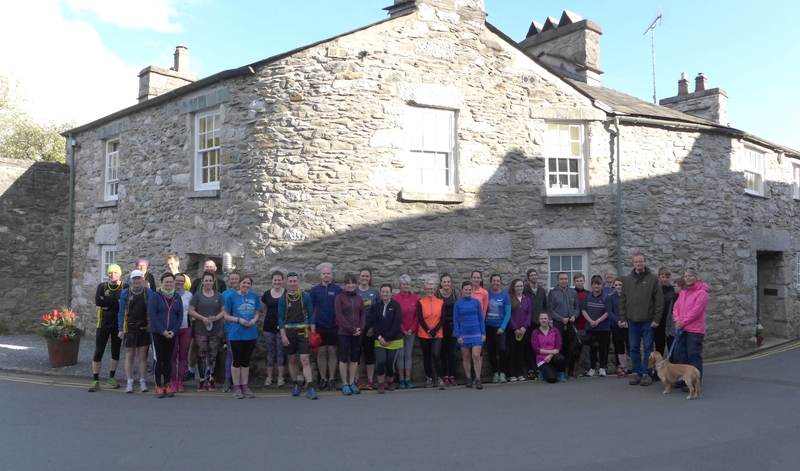 Runners outside L’enclume restaurant in Cartmel (+1 taking the photo), Sunday 29th April 2018, before running ‘finish for Matt’. Steve and Tina wallowed their way through the mud and quagmire to the finish. Thanks to Simon and David for marshalling and moral support (abuse and coat hanging facilities). We’ve just launched our new web site, so will be posting news very soon. Running in a friendly environment. All abilities welcome.